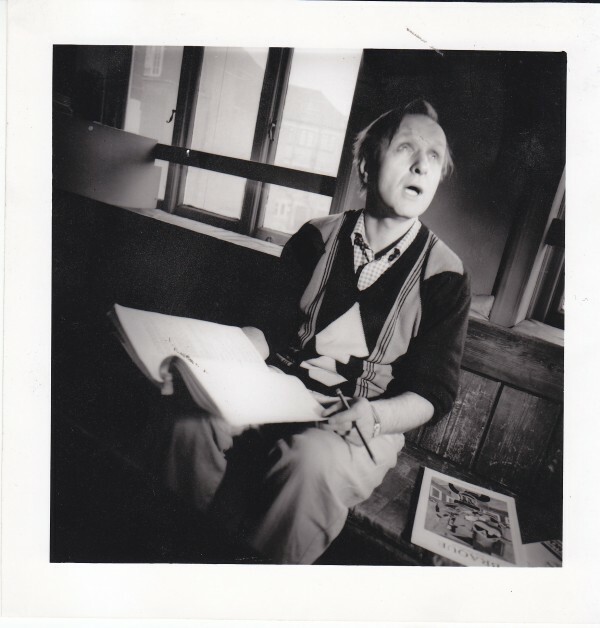 Sam Walters founded the Orange Tree Theatre with his wife Auriol Smith in a room above a pub in 1971. The theatre moved to a former primary school next door in 1991, the only permanently in-the-round theatre in London with a tradition of producing new writing and neglected works from the Victorian and Edwardian eras. As the Orange Tree celebrates its 40th anniversary, Walters speaks to Neil Dowden about his long career, his passion for theatre in-the-round and the Orange Tree's future. Richmond’s Orange Tree Theatre is celebrating a double birthday this year. It opened in a room above the Orange Tree pub in 1971, and then moved to its present building in a converted school across the road in 1991 (with the original venue continuing to operate as The Room until 1997). As the only dedicated theatre-in-the round in London (and one of just four in the country), it plays a special part in the capital’s theatre scene, combining consistently high-quality productions with adventurous programming. The Orange Tree has built up a strong reputation for its resurrection of neglected plays and playwrights from the past, particularly from the late Victorian and Edwardian periods, as well as reviving the reputations of post-war writers such as Rodney Ackland, John Whiting and James Saunders. It has also staged a large number of new plays, including the first six by then-local resident Martin Crimp. Notably, too, it has been a fervent champion of the Czech former dissident and president Václav Havel, producing 12 of his plays, including several British premieres. The new season, which has just opened, has been carefully selected to perfectly represent the distinguishing characteristics of the theatre over the past four decades. The current show, The Conspirators, an absurdist comedy which reflects the disillusioned mood of the post-Prague Spring, is the first full English-language production of a play Havel wrote in the same year as the theatre began, and is directed by the Orange Tree’s co-founder and artistic director Sam Walters. This will be followed by How To Be Happy, about a happiness guru whose life is falling part, David Lewis’s sixth new play at the theatre, who also directs. Then there will be a rare revival of Saunders’s 1963 play Then Next Time I’ll Sing to You, a philosophical examination of why a man opts out of society, helmed by ex-Hampstead Theatre artistic director Anthony Clark, once a trainee director at the Orange Tree. Finally, St. John Hankin’s 1905 house-party comedy The Charity that Began at Home will be given a dust down by Orange Tree co-founder Auriol Smith, Walters’s wife. When I interview Walters in the Attenborough Room, an upstairs gallery at the theatre, he is in a celebratory mood and is happy to look back on the achievements of the last 40 years, during which the Orange Tree has received much recognition, including two Peter Brook Empty Space Awards, and he has become the longest-reigning artistic director in Britain. A remarkably youthful 72-year-old, with animated facial expressions and a twinkle in his eye, wearing a red jacket and multi-coloured cravat, he talks with boundless enthusiasm about the Orange Tree’s evolution. Sam Walters in the 1970s. Pointing to the first-floor windows of the pub opposite, Walters recalls: “We opened at lunchtime on New Year’s Eve in that room with three large windows, which turned out to be rather significant though we did not know it then. I think that the fact that we didn’t yet have any proper lights, so we didn’t black out the windows in order to use the natural light, and we could therefore see all of the audience clearly and they could see each other, led us to becoming a theatre-in-the-round 20 years later. We liked this effect, which was very different from the darkened rooms in other pub theatres that were opening all over London at that time.” Though they soon started staging plays in the evening, the influence of those early times can be seen in the use of light-coloured walls in the later theatre. The adjacent primary school had closed in 1974 though, as Walters remembers, “We had our eye on it from the start but it was not until 1988 that we got the go-ahead to take it over!” Specialist theatre architect Iain Mackintosh (responsible for the Cottesloe studio theatre at the National) did the conversion. Walters is glowing in his praise for the generosity of Richmond resident and patron Richard Attenborough, who played a major part in raising extra money for the move on top of public funding. In 2003, the former Royal Bank of Scotland building next door was adapted into a space for rehearsals, set-building and costume storage.